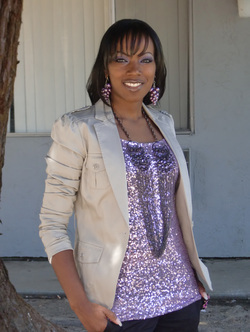 About the Company: Hot Sassy Designs is a video production and Graphic design company. We produce Book Trailers for Authors and Writers. Book Trailers are an excellent way to attract potential readers. We take our client’s ideas and transform them into something amazing. Staff/Employees: 5 individuals in Video production team. Inquiry Information: Once signed up we email our clients our requirements for creating a Book Trailer. Clients must provide the book cover, music they would like included, pictures, and a concept for their Trailer. If you don’t have any ideas for your Trailer, we use snippets from your book to come up with ideas. George’s story does not start when he was in school. It doesn’t start when he was a young boy and had the drive and excitement to write a book; George decided to write a book while doing time in prison. After finishing the book, he decided to learn the publishing process and publish his own book instead of going through the submission process. “I was misquoted in a past interview saying I submitted work to Triple Crown and some other publisher, but that never happened. I never submitted work to anyone. I studied the industry and launched my own company,” George says. G Street Chronicles has been in business since 2009. Over the past 2 ½ years, G Street Chronicles has become one of the major publishing houses. There is no Urban Fiction reader that has not read at least one G Street Chronicles book. With George being the head of one of the most successful publishing companies, his talent, drive and motivation caused many authors to want to sign with him and be a part of the G Street Team. George is not only a publisher, he’s an author as well. Ever since George has decided to mentor me, we have very good conversations. One conversation George had with me was funny, but professional. I’d decided that I wanted George to be featured on PEN’Ashe Magazine, but I said I wanted to feature him as an author and then do a cover story and feature him as a CEO. He quickly said…and he says this to me often, “Come on now, Dominique.” Then he proceeded to say, “I am a CEO first, then an author. You have to interview me as a CEO and then interview as an author.” I laughed, but I got it. This shows just how professional this man is. In the interview, I asked George how he juggles being an author and a publisher. He said, “It’s not hard. I’m really more of a publisher than an author, but handling both is not hard at all. I make sure I’m a publisher first because it wouldn’t be fair to all the authors who have signed. They signed their contract to be represented by a publisher, not an author.” I believe this is something every author must take to heart when they decide to publish with someone. The publisher must care about who they are publishing. While George is the CEO of G Street Chronicles, the company is also run with his COO, Shawna A, handling the operations alongside him. George tells me that his biggest struggle was dealing with the day-to-day issues while incarcerated. He says that Shawna has been a big help in helping the company grow over the years. Since I have been in this business, George has been one of the most honest, reliable and motivational professionals I have dealt with. I’ve come across people who wouldn’t return emails or simply wouldn’t deal with me because of what I do and what I am capable of accomplishing. He’s the first person I can truly say that has mentored me and I take his words to heart…all of them! As a reader, author and professional, I am looking forward to what George and G Street has to offer the public. 2014 is the year of success. I believe that G Street will exceed and expand on many levels. Looking to feature Business Owners! Get the details! Earlier in the week, I told you about the new magazine I was bringing to the forefront in January. I want to get to know business owners! If you are a business owner and want a little bit of exposure for your literary business, check out the details below and contact me! Get your business featured in PEN’Ashe’s Business Kick Start Column. Share the details of your business and what you have to offer. This feature includes an interview about you and your business and how customers can use your services. Your business information and logo will also be placed in our Business Directory. Get on our schedule today! A media kit is very important to have as an author and as a business owner. Many authors and writers are afraid of the word media kit when professionals ask them for it. Creating a media is simple and should always be included in any type of submission for your work. Media kits let professionals know about you and your work. You should create a media for every book that you publish. The reason is, when you submit a request for a review or interview, most of the time authors are promoting their recent work. Their recent work is most likely a book they have published recently. So that professional is going to want to know about that particular book that is being promoted. So it’s a good idea to have a media kit for every one of your books. It is ok to create a media kit for all books or a general media kit. This type of media kit should have everything about you and all of your work. It should not single out any particular book. The purpose of a media kit is to bring attention to something in particular so when doing a general media make sure that everything is included and you are not singling out one book. As a business owner, you should also have a media kit. Business owners get interviewed as well and most professionals want a media kit so they can know more about you and know what questions to focus on in the interview. Bottom line, it’s important to have a media kit. It’s a marketing tool that you will be asked to submit most of the time. We all know that marketing is a very tough part of writing and publishing a book. It is a means to an end; profiting from your hard work and in order to do that we have to promote to make a profit. So what’s in a media kit? Let’s take a look. The first thing you should put in your media kit is a bio. Your bio. Your bio should be written in third person and it should include a nice, professional picture of you. The next thing that should be in a media kit is the book you are submitting about. Your synopsis and book cover should be included. That’s the focal point of the media kit. Next, should be links. Your website, facebook, twitter, blog all social media networks. Wherever people can get in contact with you, those links should be there including an email address. You should include reviews and interviews as well. Have you had book signings? Do you have pictures from events? Put those in there as well. Anything that is going to help market you, place it in your media kit. You should start your media kit in Word and then transfer it to PDF. Make it look professional and well put together. I always tell my clients that as an author, you should be able to do everything yourself. This is one of those things that you can do yourself! Felecia S. Killings is a quintessential educator and promoter of change, transformation, and innovation within the educational field. Her years of dedicated service to education, and ascribing to the motto that “Learning is a Lifestyle,” has resulted in extensive years of training and preparation in the educational spectrum. She received her Bachelor’s Degree from the University of California, Davis in 2005 with double majors in English and African and African American Studies. She also obtained her Master’s Degree from UC Davis’s School of Education in 2007. Many business owners have graced the pages of From a Writer’s POV providing information and advice to help fellow authors and writers. It’s been a great pleasure working with all of you. 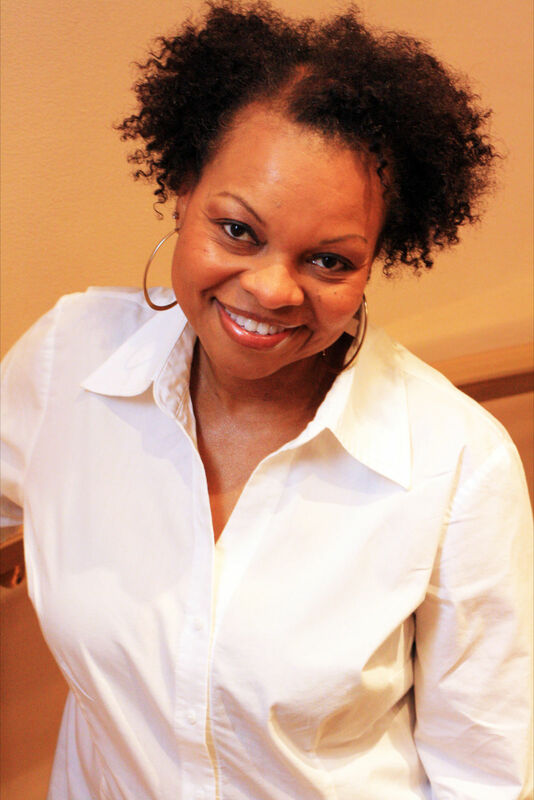 The owner of “Christian Life Coaching and Writing Coach” Paulette Harper, graces the pages of From A Writer’s POV this month as business owner of the month. Create a website for her business. Joy created services specifically to fit an author’s needs. So, whether they are looking for help in writing and completing their book, social media management, book marketing, or need to work with a Virtual Author’s Assistant on a regular basis, she has them covered. If authors are interested in getting a virtual assistant, you can visit Joy’s website at http://litdiva.com, email her directly at litdivainc@gmail.com or schedule a free 15-minute consulting call by visiting https://tungle.me/joyfarrington. Joy is also hosting the Write Your Book in 30 Days Challenge which is free and open to anyone interested in learning how to write a nonfiction book. Books are a great way to help mark yourself as an expert in your field and expand your target audience and the challenge caters specifically to entrepreneurs. If anyone is interested in joining the challenge, they can sign up by visiting http://litdiva.com/bookin30. “The Write Your Book in 30 Days Challenge begins March 2nd and includes access to our Motivational Mondays Audio-course as well as our guide featuring tips about the writing and self publishing process.” Be sure to check out the link to get started!